As much as I love breakfast time, I hardly ever get out of my comfort zone to make myself a hearty one! And I run a food blog? For real? Knock Knock, somebody's getting lazy!!! My early morning classes are the biggest obstacles between me and *drool-worthy* breakfast! Yes, I totally blame the classes! Why should I ruin my sleep, especially when I sleep like a newborn!!! How cute is that! So yes, speaking of breakfast, it's always my usual cup of milk with chocolate-flavoured Complan in my very favourite and beautiful 'Mrs' Mug (my morning sunshine! a gift from A, obviously!) and my ever boring chocolate cereals! Why do I do this to me, you ask? I have absolutely no clue!! 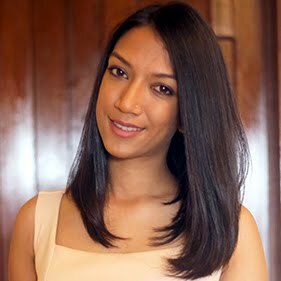 Le Monsieur is thousand miles away at the moment! Mrs. has me covered!!!! Well, I am running late in posting recipes since I have my dissertation to submit in 3 weeks and I still have soooooooo many things, make that everything, to work on! I know, I know you don't want to know all of this, but it's just my way of apologising!! 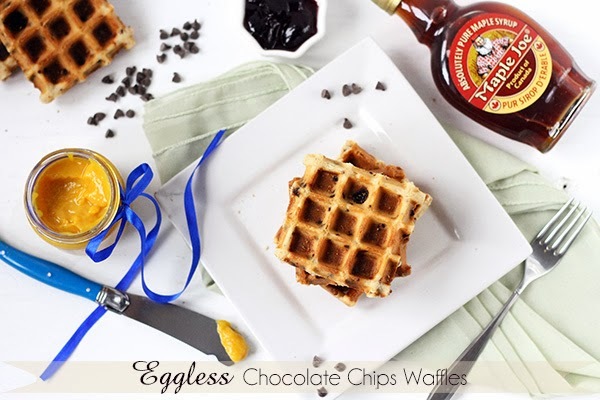 Back to reality, today's recipe is about Eggless Chocolate Chips Waffles! Easy and Quick to make, yet fluffy and yummy! 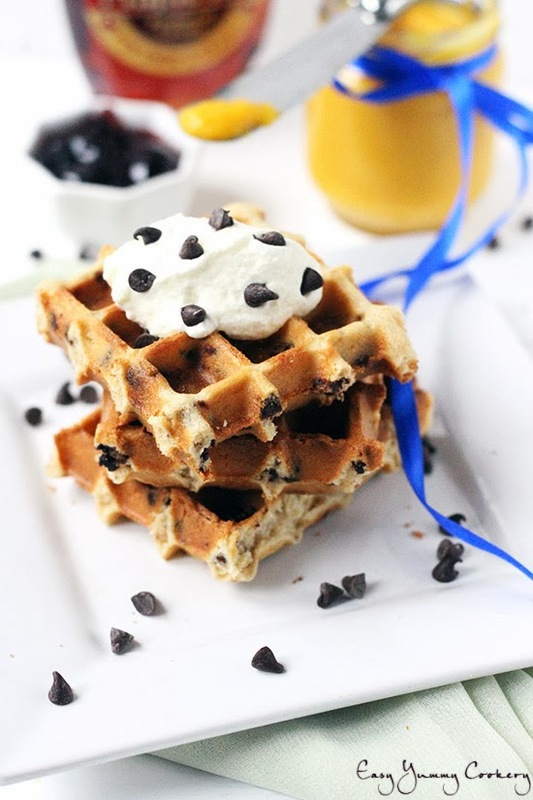 It is actually, adapted from my previous Basic Eggless Waffle Recipe! 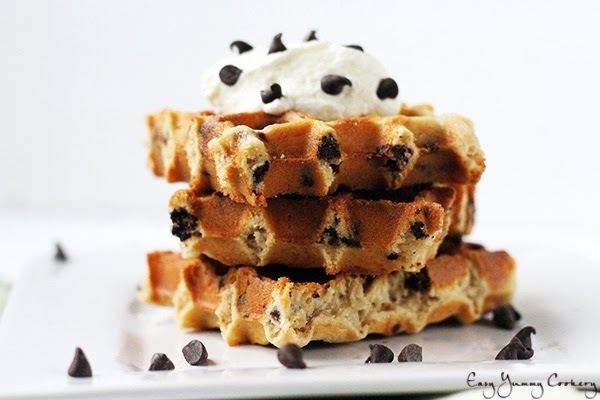 Both are wonderful, in my honest opinion, but my favourite now is the Eggless Chocolate Chip Waffle!!! Mix all the dry ingredients together except for the chocolate chips; flour, sugar, baking powder and salt. Combine the milk and the cider vinegar and let stand for a few minutes. Toss the milk, the melted butter and the vanilla essence into the dry ingredients. Stir, using a whisk until smooth. Pour into preheated waffle-maker according to manufacturer's instructions. 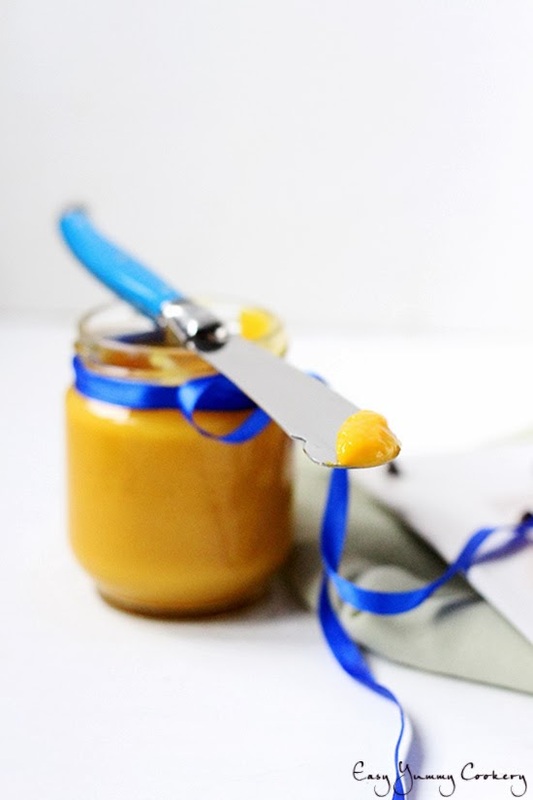 Serve with sweetened whipped cream, maple syrup, some Lemon Curd or jam, whatever you like!!! 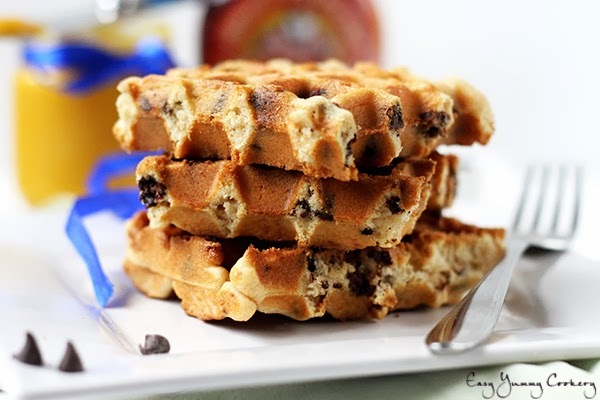 waffles look superb! and tempting clicks dear. Can they be be made in sandwhich maker? the recipe was fabulous and the the taste was sweet like you thank you for the recipe.